For more than 200 years, ever since John Wesley appointed Thomas Coke bishop of America, Methodists have been consecrating bishops, setting them aside for the particular work of oversight. 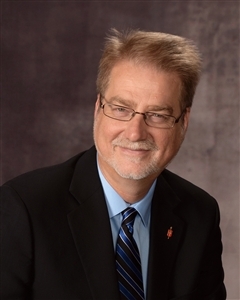 A year and a half ago, in the summer of 2012, I joined those ranks, when the United Methodist Church, through its Southeastern Jurisdictional Conference, asked me to serve as a bishop. The promises that I made to those who attended the consecration service were clear. I pledged “to guard the faith, to seek the unity and to exercise the discipline of the whole church.” But what wasn’t so clear, then or now, is what this calling means in our particular moment in history. What does it mean to be a denominational bishop in a post-denominational culture? It doesn’t take a committed churchgoer to know the status of mainline (and evangelical) Christianity in the United States today. Even atheists know the cultural context in which the church now finds itself: loss of membership, aging congregations, decreasing influence and marginalization of spiritual practices. Twenty-five years ago, Will Willimon and Stanley Hauerwas wrote “Resident Aliens.” Considered boldly prophetic at the time, their insights into the relationship between church and world are now the accepted wisdom about where we find ourselves. But beyond the broad relationship of church and culture, a parallel conversation is now occurring within the church, one with particular relevance for my own role as a bishop and the pledge I made about faith, unity and discipline. Though I have promised to guard the faith, those whom I am called to lead differ widely about the contents and even the importance of faith. Likewise, while I have promised to seek the unity of the church, the energy in our denomination and many others is often in the polarities. It is at the extremes, where advocacy groups communicate and organize with clarity, even in opposition to each other. And upholding the necessity of a disciplined life for the sake of the whole church? How am I to do that in a culture where individual desires and discernment are valued while institutional deliberation is often considered suspect, questioned or even sabotaged? In matters of faith, unity and discipline, how do we manage the relationship between the “secret call” and the “ecclesiastical call,” in the language of H. Richard Niebuhr? That is the particular calling and challenge of a bishop or judicatory leader. But how does a bishop do that in a culture that is post-denominational? “The real challenge,” notes Gil Rendle (citing John Wimmer) in “Journey in the Wilderness,” “is to lead both continuity and change.” A leader is responsible for both. Denominational bishops in the United States represent the continuity and catholicity of the church in an increasingly congregational climate. The congregation is where baptism, confirmation, conversion, mission, discipleship and hospitality happen. It is often the voice for justice in a community. But in our polity, the congregation alone is not enough. It is a necessary but insufficient expression of lived Christianity. United Methodists value the connection of congregations that share resources, build institutions and accomplish objectives that are beyond the capacity of even the largest and strongest of our churches on their own. As a bishop, I have sensed a shift in our ecclesial reality. Where congregations were once called to support the denomination, the roles are now reversed; the denomination is called to support the vitality and flourishing of congregations, where intentional discipleship is practiced. From house churches in Cuba to New Monastic communities in the United States to fresh expressions churches in Great Britain, congregations today are taking diverse forms. Amidst such change, bishops are called to interpret the need for both continuity and change and hold them in tension. If denominations still exist in the future, it will only be because of innovation and experimentation in the creation of new forms of Christianity today. This was how Wesleyans did it in England in the 18th century and how their spiritual heirs in America will do it in the 21st. The trend toward post-denominationalism is rooted in our human need to hold in tension continuity and change, the ecclesiastical call and the secret call. And yet as bishop, I have chosen to stand in a particular place in this conversation. I value the Christian tradition in its most generously orthodox expression, even as I recognize the imperfection of polity and the slowness of institutional processes. I support the unity of the church, knowing that our culture is often rigidly polarized and that, increasingly, the center is not holding. I am committed to a disciplined life in which we are free to serve God and each other, and yet I am fully aware that the language of rights is often in conflict with the virtues of obedience and a rule of life. As a bishop, I am called to value continuity and embrace change. It is a unique and necessary role, for the sake of both the church and its mission. In a post-denominational culture, this work is increasingly complex, and yet the challenges transcend any particular context. The church’s challenge today is to navigate the path between liberty and chaos. Working together, continuity and change will take us there.